As we reported a couple of weeks back, numerous sources have recently indicated that two new Nexus devices will be soon be unveiled: the Nexus 6 handset from Motorola, and a Nexus 9 tablet to be manufactured by HTC. As their launch grows ever closer, an image purporting to show the tablet has been revealed by @upleaks, as Android Central reports. The image shows the device from the rear, featuring the familiar Nexus branding, as well as a much smaller HTC logo. 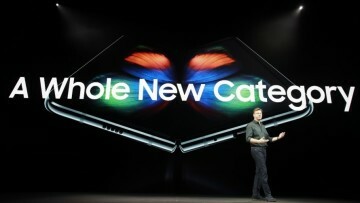 The pic also shows a rear camera with LED flash, as well as what appears to be a cut-out to accommodate the headphone jack along its top edge, when viewed in portrait mode. There also appear to be two circular cut-outs in the rear close to the camera module. A device believed to be the Nexus 9 was recently uncovered in FCC certification documentation, as 9to5Google reported a couple of days ago, lending further credibility to reports that the device will soon go on sale. The most up-to-date information suggests that both the Nexus 9 and the Nexus 6 handset will be announced this month - perhaps on October 15 or 16. Both devices will be a showcase for the latest version of Android, currently known as 'the L release'. With its CPU aging, how soon will Microsoft update the Surface Pro 3?